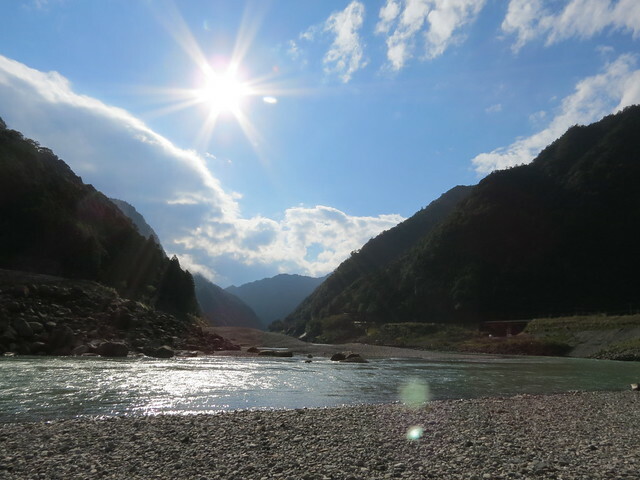 When I left you last I was settling in for the night in Yunomine Onsen, listening to the rain as I laid my head on the futon, praying for a brighter day tomorrow. Fortunately, I woke the following day, Tuesday 26th November, to find the rain had stopped. 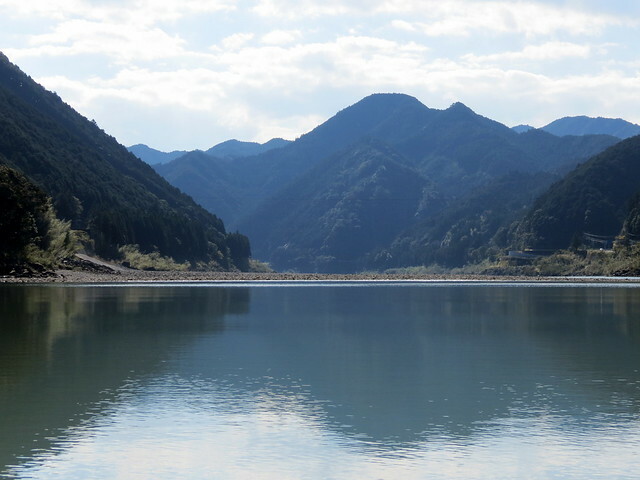 It was a dull start to the day, but by the time I had packed up my things and taken a bus to Hitari (日足) the sun was out and it was looking like it was going to be a beautiful day! It’s such a perfect day! 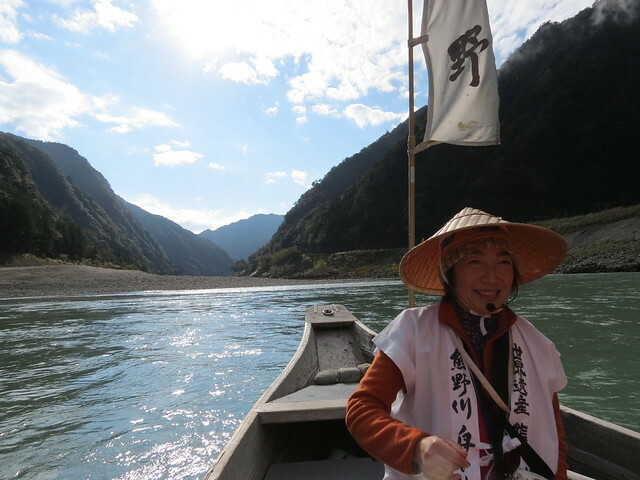 Hitari was the meeting point for the traditional boat cruise along the Kumano River (熊野川) I was booked on to that morning. I don’t usually do group activities when I travel, but this was part of the package I had booked and I thought it would be fun. We got our life jackets and customary conical straw hats on, and clambered into the tiny narrow boat. I felt a bit silly with the hat on, but once the sun started beating down on my face I was actually quite glad of it! 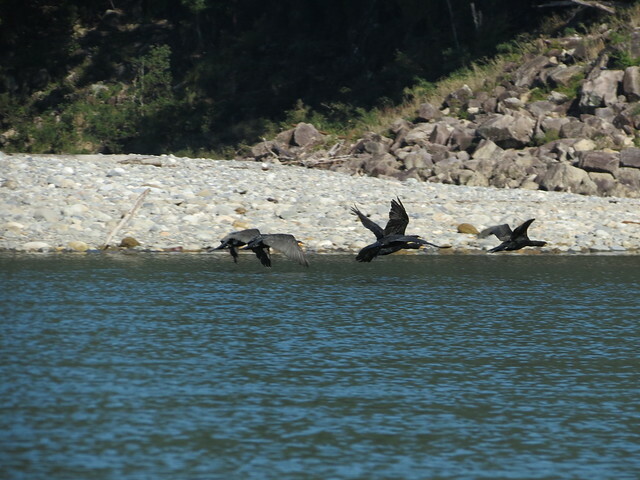 The boat was motor powered, with a man standing at the back to steer it and a female guide sat at the front to narrate the journey. 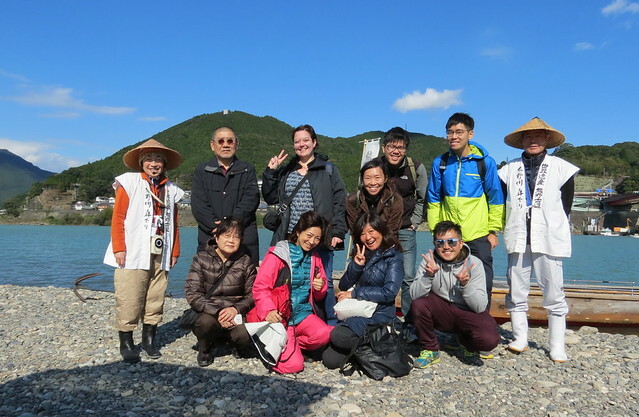 The tour group was a mixture of people from different countries, including some Japanese and some Chinese people, and there were just nine of us. It was a nice group, and although we didn’t have to interact much, when we did it was fun. I didn’t really take in all the information the tour guide gave us, but we were provided with a printout of the tour listing the main points of interest. 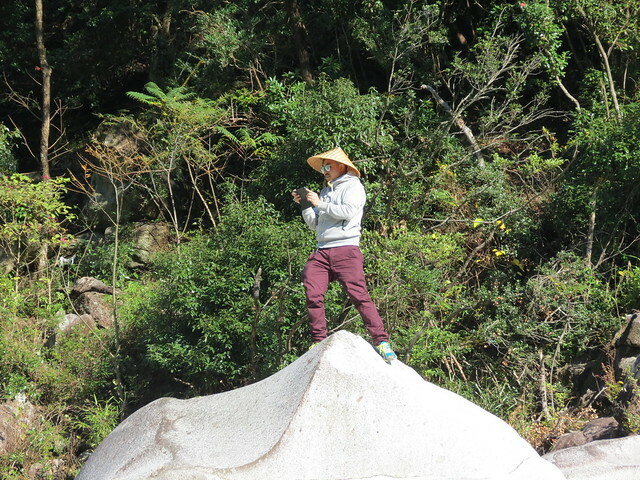 We saw a number of waterfalls, a phallic rock formation, Honejima (Bone Island) – home to demon bones, according to legend, and some moss that looked like a monkey. 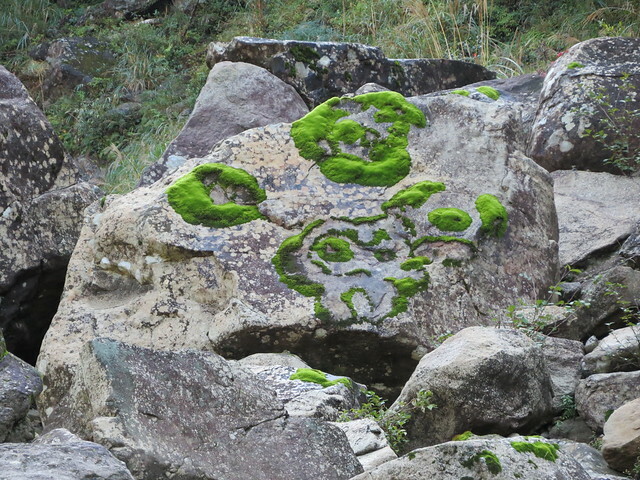 The tour guide said the monkey moss was especially important, as 2016 would be the year of the monkey. As the tour neared its end we switched off the motor and drifted for a while. 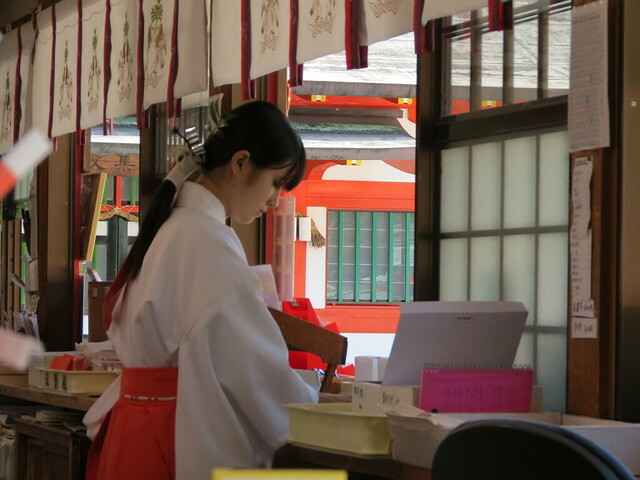 The tour guide played a traditional wooden flute, and I closed my eyes to listen to the music. It was another world, another time. 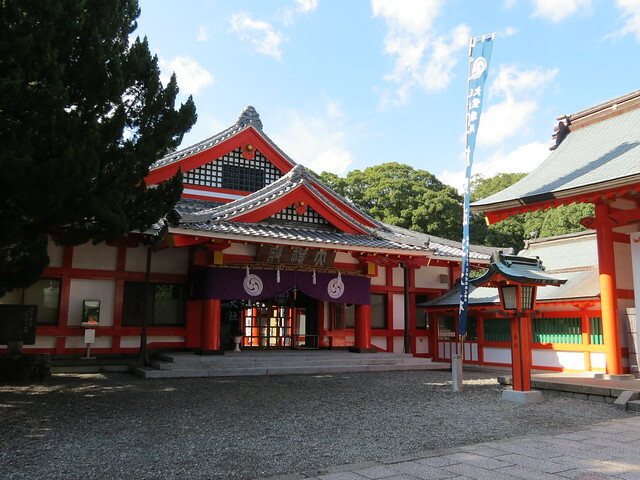 My next stop was Kumano Hayatama Taisha (熊野速玉大社), a vibrant red shrine and part of the Kumano Sanzan, three grand shrines of Kumano. 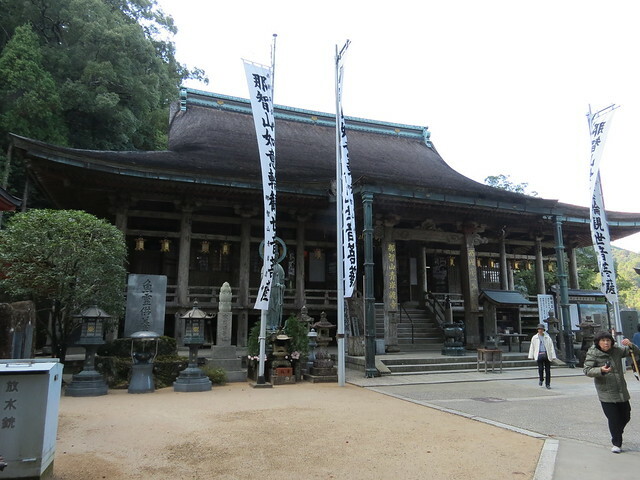 The shrine has stood on the Kumano Riverbank since at least the 12th century, and is home to an ancient tree estimated to be over 800 years old. 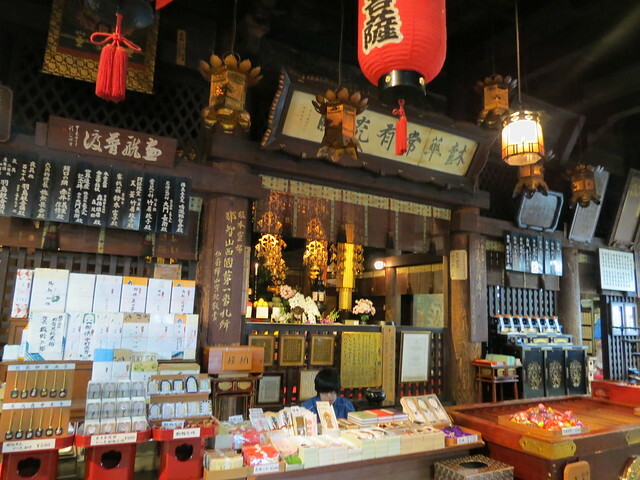 From Kumano Hayatama Taisha I walked to nearby Shingu (新宮), and then took a bus to Daimonzaka (大門坂). 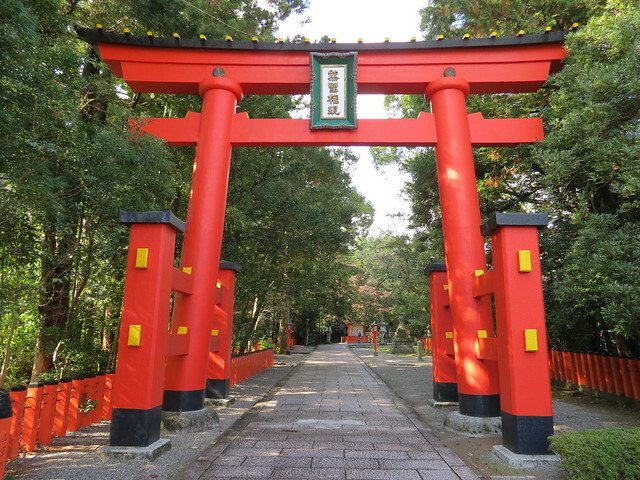 Daimonzaka was the starting point for my final hike, with Kumano Nachi Taisha (熊野那智大社), the third of the Kumano Sanzan, being my goal. 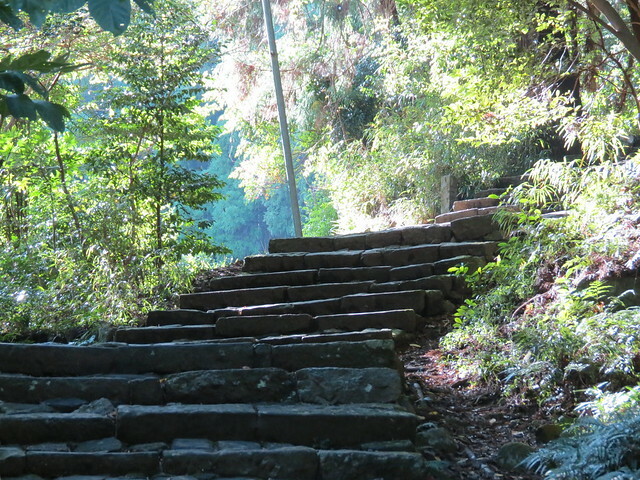 Daimonzaka is an impressive cobblestone staircase slope which runs from the base of the valley to Kumano Nachi Taisha and Nachi-no-Otaki (那智滝), Nachi Falls. 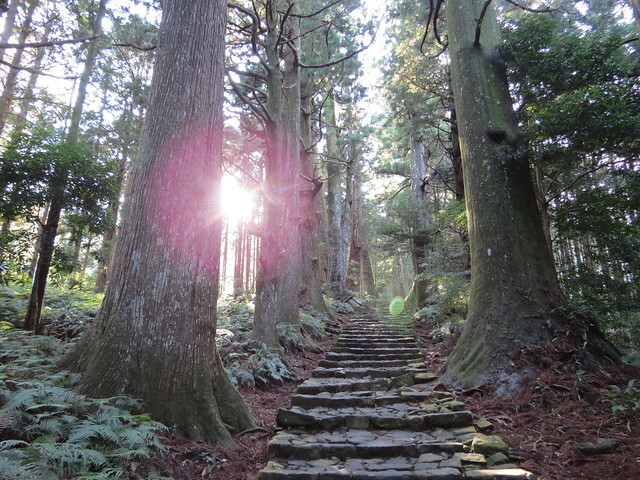 It is lined with centuries old Japanese cedars, as well as bamboo and other trees, and it was a pretty tough hike! 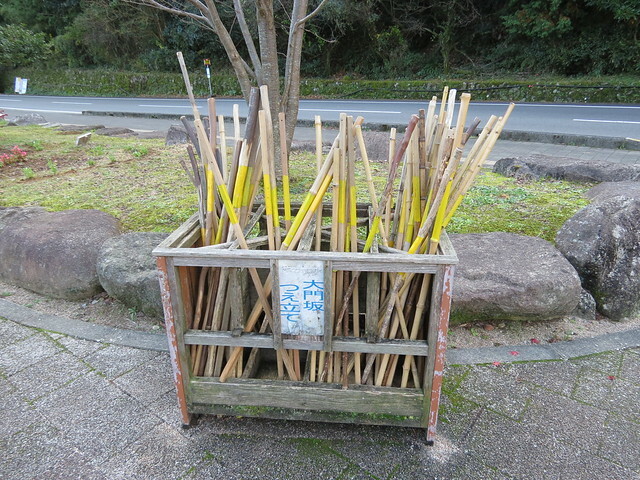 At the start I saw a box of free-use walking sticks, and by the end I was really glad I had taken one. 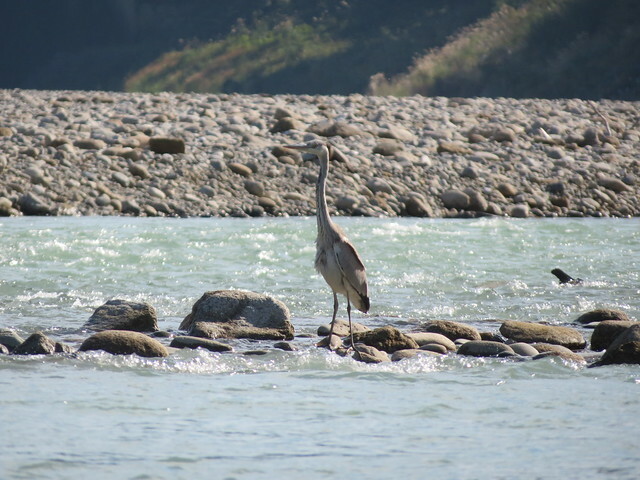 Always take a walking stick when you see one! 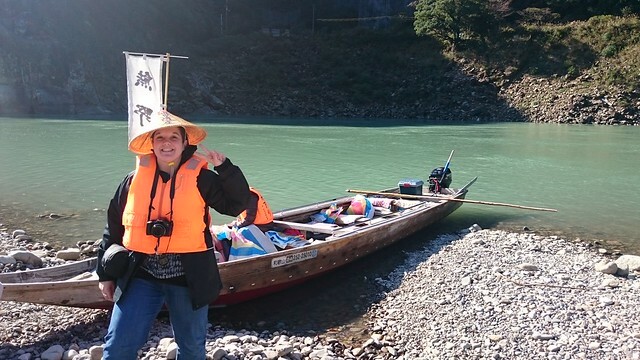 Arriving at Kumano Nachi Taisha I suddenly found where all the other tourists had been hiding. 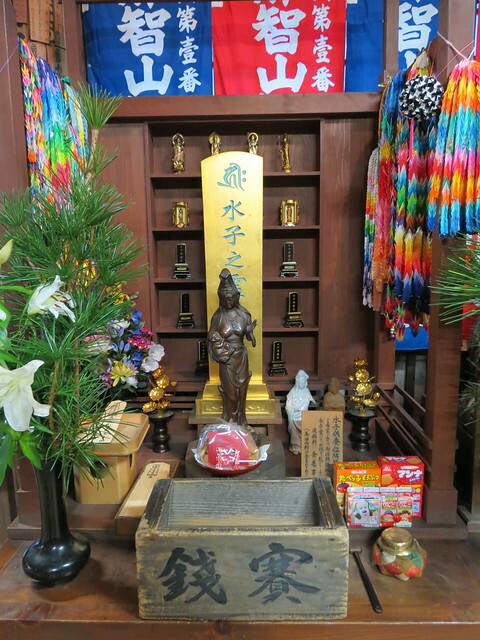 I had barely seen anyone during my hike, so I could only imagine most people were doing the journeys by bus just to visit the shrines, and not doing the hikes (which seemed like a real shame). 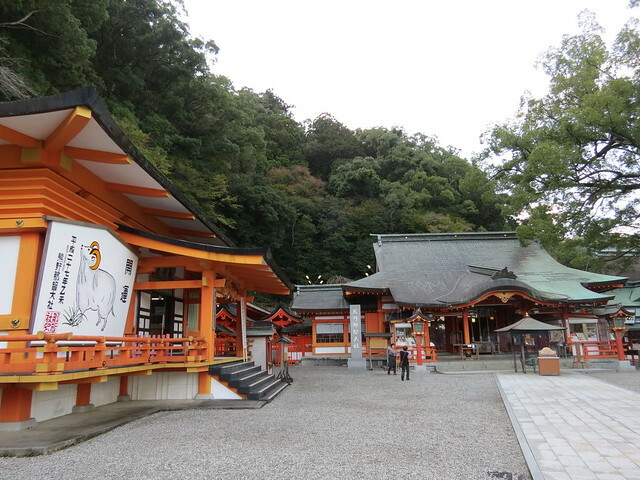 Kumano Nachi Taisha was pretty impressive, and again very colourful for the most part, with a few older, plainer buildings. Near the shrine stood a red pagoda, and beyond that Nachi Falls, which stands an impressive 133 metres tall and 13 metres wide. It was picture-postcard perfect. 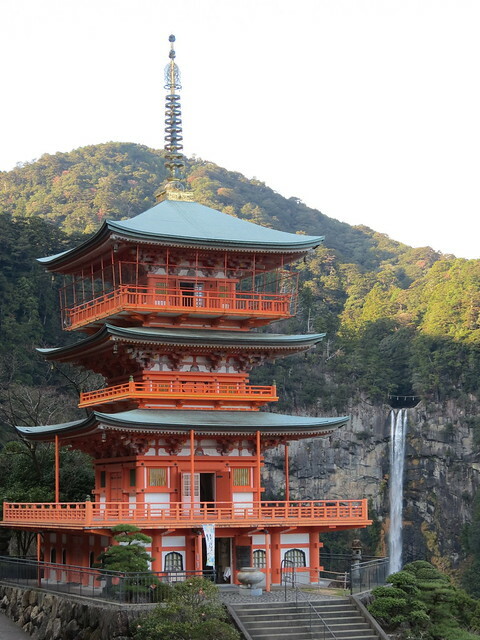 The perfect pagoda and Nachi Falls shot! Leaving the shrine and waterfall behind I headed to the bus stop and took a bus to Katsuura (勝浦), where I would be staying the night. 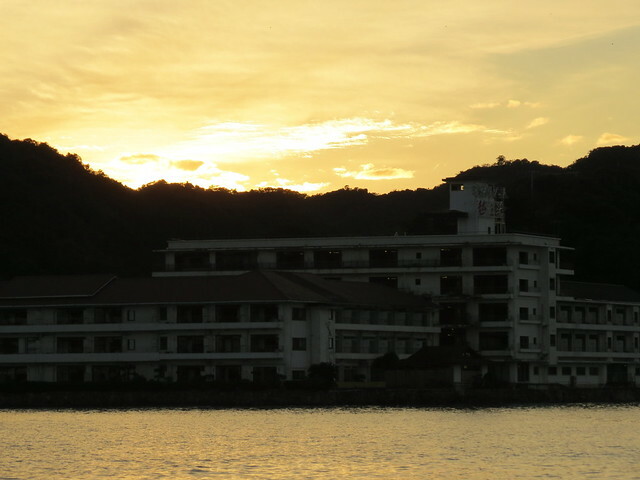 My accommodation for the night was the Nakanoshima Hotel, which is on its own private island. 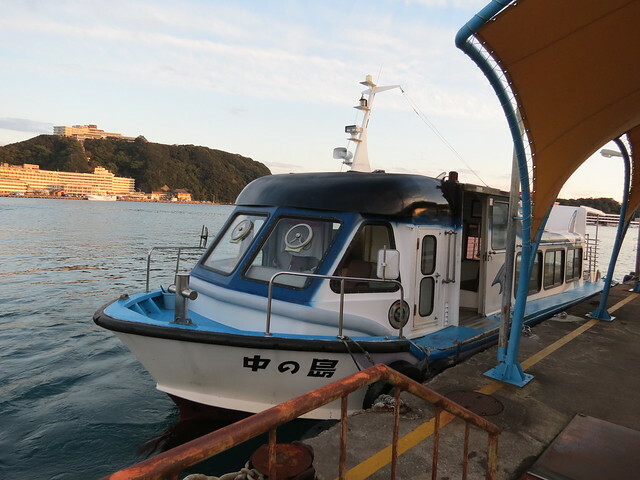 I sat on the boat waiting for it to depart, feeling serene from my walking and a little smug that I was going off to my own private island for the night, then all of a sudden the boat filled with a coach-load of Chinese tourists. It was just me and them, and by the time I got to check-in at the hotel I was ready to retreat to my room alone. Luckily, my room as lovely and the view even lovelier! 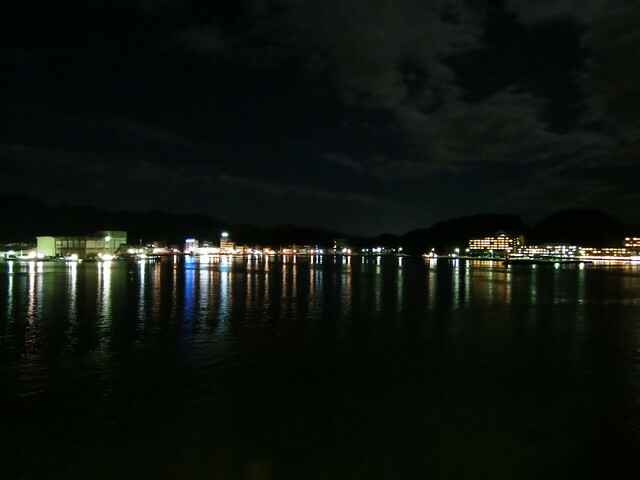 With the thoughts of sea monsters pushed far from my mind, I sat in my room and watched the night view for a while before finally laying down on my futon. 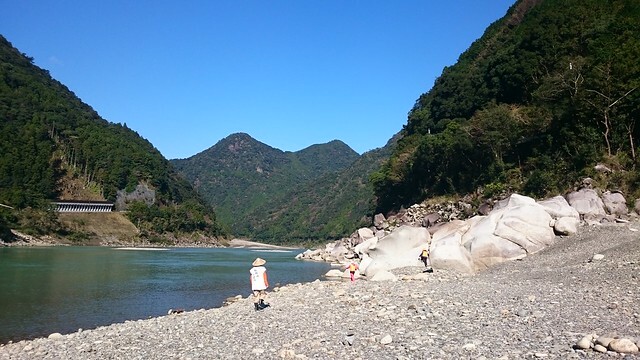 My Kumano Kodo adventure was over, but there were plenty more adventures still to come! 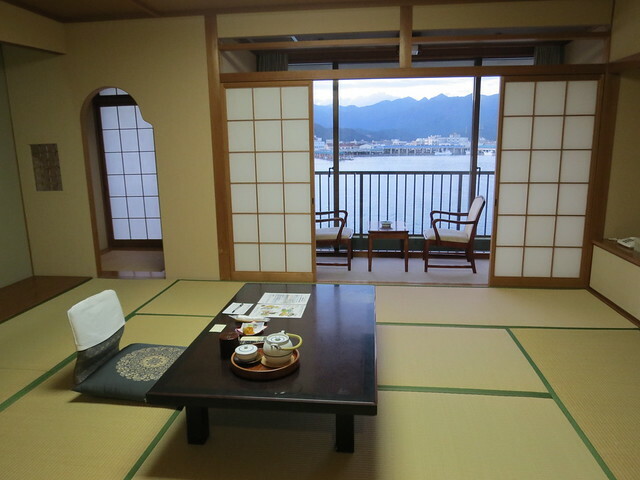 If you like the look of what I did during my three days in the Kumano Kodo, click here for more information about how you can do it too! Thanks for your blog post! I will be traveling this pilgrimage next week and very excited! 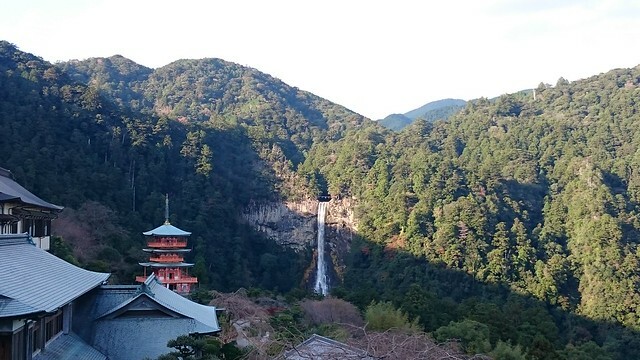 Where did you climb in Kumano Nachi Taisha to get that perfect shot of the pagoda and waterfall? 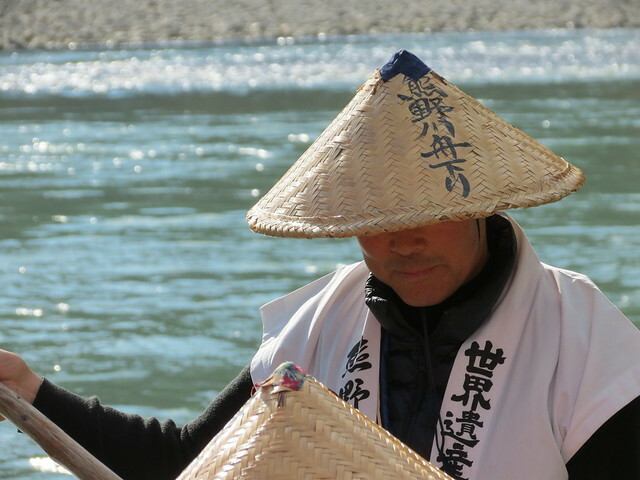 Was there anywhere up near Nachi falls to purchase lunch? Thank you!